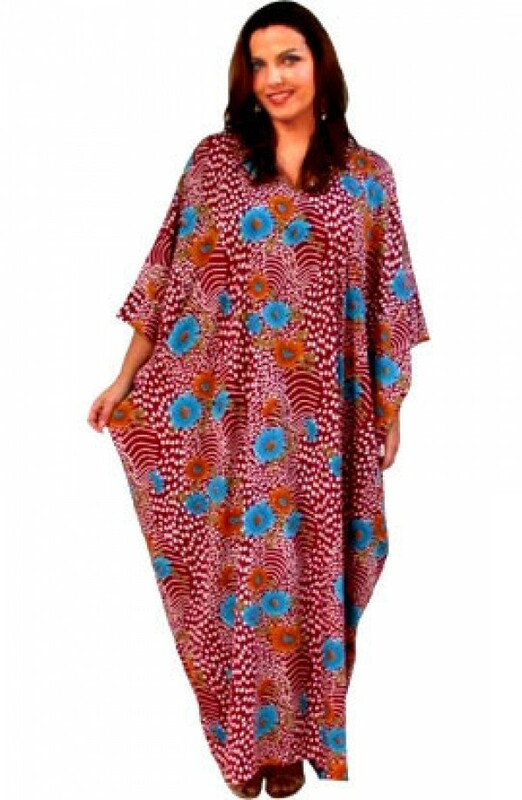 * Kaftan length: --- Please Select --- 49"	57"	53"
We have here a kaftan in the softest possible polyester French Crepe fabric (not to be confused with crepe fabric that is slightly rough on the surface). This fabric will feel so good against your skin, it drapes extremely well and will flatter most UK sizes from 12 right through to 30. We have four lovely shades in this fabric. 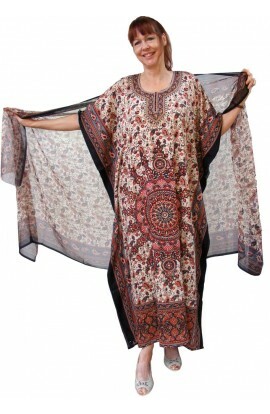 As usual it is available in a choice of three lengths: 49, 53 and 57"
If you require a larger size than UK 28, please add £5 to your shopping cart - from the "Bespoke" category - top of page.